I’m here in Monterey, and the TED crowd has started gathering. It is great to see friends from past years and meet new attendees (TED Virgins as they are known) trying to figure it all out. 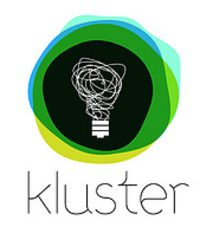 At the registration area, one of the first sponsors to catch my eye was an organization called Kluster. Over the course of the next few days, this completely new concept in creative collaboration will be used to create a new product from start to finish. This is not just a concept, but a fully developed and tested product ready to go to market (and it is starting from scratch). This is going to be one of the very exciting developments to watch here at TED this week. Members from the community at large, not just folks at the conference will be able to participate. Kluster CEO Ben Kaufman explains in the following video.